Offering Sodium Carboxymethyl Cellulose Powder in the market. We offer a range of highly purified sodium carboxymethyl cellulose, which is sourced from some of the trustworthy vendors of the market. 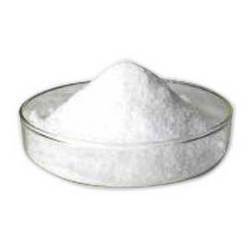 It is a highly effective additive used to improve the product and processing properties in various application fields. Established in the year 1995, M/S Pragati Associates is one of the reputed organizations engaged in Importer-Exporter & Trading House of chemicals, Ferro Alloys and Ceramic Raw Materials. The CEO, Mr. Kamal Jain has taken the company to new heights, and we are constantly climbing the ladders of success under his valuable headship. Our company has made its mark in the sphere of Chemicals in the last 15 years. The company is catering to many leading national and multinational organizations. After dominating the domestic circles, the company has taken the international market by storm. We have witnessed an overwhelming response from huge clientele and have an ever-growing list of international clients. We are guided by a set of stringent quality control policy adopted by our management. According to the aforesaid policy, our products are tested on different parameters to ensure their purity and performance. We never compromise on quality and that’s the major reason why we are always a step ahead of our competitors.